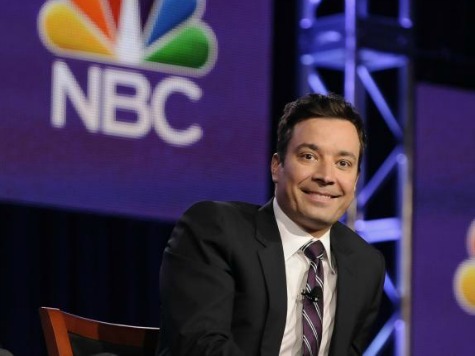 Now that The Tonight Show has moved back to New York after a 40-plus year stint in Burbank, California, it appears that some of the luster of Hollywood has faded for the show’s viewers. Indeed, the move to California in May 1972 was because Johnny Carson not only preferred living on the West Coast, but also because his interviews so often featured celebrities from Tinsel Town. More than 100 people will be laid off as a result of moving the Jimmy Fallon-led Tonight Show to the Big Apple, but there’s another message: where California was once considered the epitome of what was hip, it is now seen as a decrepit movie star, not unlike Gloria Swanson in Sunset Boulevard, aching for its former glory and desperate to garner attention any way it can. In the halcyon days of yore, the Nebraska bred Carson had a Midwesterner’s awareness of both taste and exactly how far he should push the envelope. Carson had one wonderful moment when he was asked by Mike Wallace how much his new salary was after a huge sum was paid him, and answered to the effect that where he came from, it wasn’t considered polite to talk about matters like that publicly. He was even-handed in his mockery of both sides of the political aisle. Jay Leno followed him in that effort, remaining the one late-night comic who didn’t swear fealty to the liberal left. But the days when Americans were titillated by Hollywood’s youth and hipness are gone; the tacit statement that the show makes by moving back to New York is that California simply doesn’t matter any more. The moving of The Tonight Show back to New York is a clear sign that the rest of the country now regards California as a place to be mocked, not imitated, which should drive many in Tinseltown crazy. There’s only so far you can go in trying to blow air into the cultural balloon before it bursts, and although Hollywood remains largely unaware that they are part of an industry whose importance will be less and less relevant, the departure of an iconic show should give them pause that they have outlived their usefulness.